Working freelance can be an envious idea for fixed-time employees. The idea of being on top of your schedule without the need of dragging yourself up every morning to get yourself at the office on time or squeezing yourself on a bus every afternoon rush seems to be a perfect thing. What is even more exciting about this job is that you could schedule your own break, and oversee your house needs while working in your pajamas. You could even take two, three or more jobs at a time if you can, which is very unlikely for a regular job that eats up your time. It is no wonder that more and more regular employees quit their jobs to work freelance. These are all too good to be true. There is no perfect world as they say. Though what had been mentioned are the good points of working freelance, before you immediately decide to quit your job, weigh the pros and cons of each. One disadvantage is that you will miss the benefits provided to regular employees like the health care benefit. Paying for your own health care plan should not be taken for granted. If you had previously used the health card provided by your employer in one of the reputable hospitals in the country, you must have an idea on how much you saved. Can you imagine losing that privilege and pay medical bills out of your pocket? If you don’t want to spend all your earnings from your freelance job better get a healthcare plan. It is not as expensive or as difficult as you think. 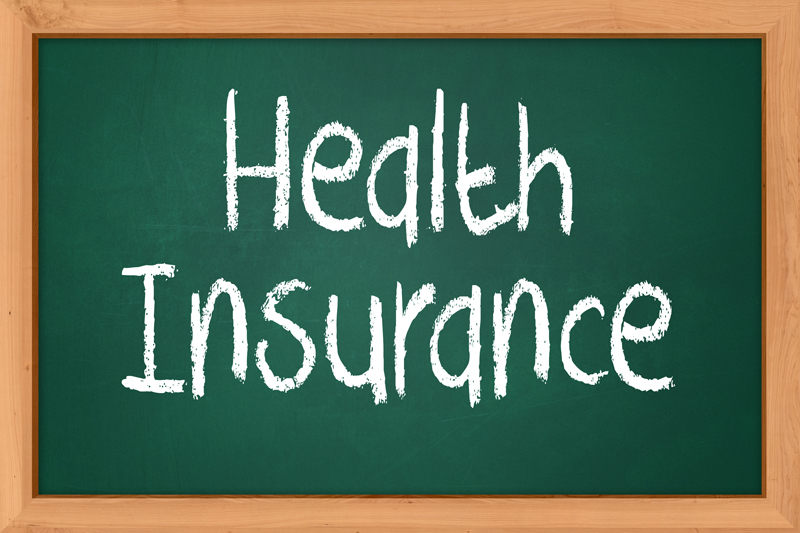 Here is a list of some of the health insurance providers in the country that you might want to consider. This is the government subsidized health care provider. It is more affordable compared to other private plans but does not offer comprehensive package as others do. Check for the benefit coverage it offers so you’ll see if you’d need additional private health care plan. It provides room and board subsidy, laboratory exam, and professional fees for confinement of more than 24 hours. It offers special benefit package like treatments for TB, SARS, H1N1 and other special illnesses. Some cases classified as non-cost-effective as defined by PhilHealth are subject to approval like optometric services, non prescription drugs and services, fifth obstetrical deliveries and the like. It allows flexibility by letting you choose your own hospital, clinic or doctor. It has built-in life insurance. Being a member of the Insular Life Group, each policyholder is entitled of life insurance benefit depending on the coverage and on the schedule of benefits. It does not require PhilHealth membership. They pay 100% of the eligible medical charges. Reimburses up to Php 1,000.00 of the prescribed medicines. Offers convenience because they are hospital-based. They do not require pre-enrollment medical examination. Provides free annual physical examination. Sun Life is not a member of AHMOPI but under direct regulation of the Insurance Commission. Among all the insurance companies operating in the Philippines, it was ranked number 1 in 2013. One of the protections they offer is the Sun First Aid. Here is the list why you will choose this product. It has a money back feature that is unique from other insurance policies. They will give back 50% to 75% of the premiums paid after ten years whether the policy holder had been hospitalized or not. It offers financial assistance in case of hospitalization. There is cash benefit directly given to the policyholder when confined, if hospitalization exceeds 30days, or if surgery was performed. It also offers benefits like those you will find in life insurance policies like, life insurance coverage, waiver of premium in case of disability, and accident rider. In choosing a health care insurance, it is advisable to choose one that is regulated by the AHMOPI or by the Insurance Commission (IC) itself. AHMOPI is the body that regulates HMO providers in the country. Getting one from a regulated insurance company adds another level of protection to your insurance. The organization will act as mediator between the policy holder and the insurance provider in case of disputes or any irregularities in providing the benefits. When choosing a health insurance there should always be a perfect mix of quality and quantity. Although you are paying very cheaply in your health insurance make sure that it qualifies to all your bare requirements, such as availability of accredited hospitals or clinics in your area, treatments that you deemed important for your condition and if it will save you from all the headache of following up in your reimbursements because when it comes to health, money can be scarce. So we better make wise decisions! Pingback: Why Do You Need an Emergency Fund? looking forward to your response. God Bless and Thank you very much! Were you able to get a response from the different HMOs in the Philippines? If yes, is it possible to request for a copy of the results of the survey? Hi Dara, you can check this link https://mariahealth.ph they are an online sales platform that allows you to easily shop and compare health insurance plan from major HMO providers in the country.Very Easy access and it really helps a lot. Hi im carol looking for health insurance for my daughter can u kindly email me the details of blue cross lyn_tin143@yahoo.com. I am Ram Viloria from iConnex HealthCare Solutions. What is iConnex HealthCare Solutions? It is a hybrid health card that provides value for money while giving its members top quality health care assistance.It has more than 100,000 Members and still counting. Our members can get and ENJOY UP TO 50% DISCOUNT On your medical needs, Nationwide Coverage. NO AGE LIMIT and Pre-existing conditions are covered are some of the key features of our products. You can email me at ram.viloria@iconnexsolutions.com or visit our website http://www.iconnexsolutions.com. Also, Feel free to call ma anytime at 09059564840/ 882-0888. Hope to hear something from you soon! ..also for 40-50yrs old with pre existing conditions..
hi pls send me your quotations. mariath3r3sa@gmail.com..thanks. Personal or family health insurance are very complicated. bayzat made it easy to compare the best health insurance companies and find the plan for your needs. Simply answer a few questions, and get real-time quotes only from insurers that meet our high standards for quality and experience. Hi Maam Cris. I’m Julie of Blue Cross, please do email me at julieann_bobis@bluecross.com.ph so that I can assist you regarding of your Medical Insurance inquiry. Thanks. Looking for a health Insurance. Currently working as online freelancer at 36 years of age. Please send me an email with additional information. Hi Sir Joel! I’m Medalyn Zarate from Blue Cross. We can provide you several proposal based on your preferences and needs. You may email me at medalynann_zarate@bluecross.com.ph or call me at 019-9465225 for more information regarding with our medical plans. Im from Cebu City. In need of HMO quotation that offers pre existing conditions. tat.1986@yahoo.com is my email. Am in need of health insurance quotation for my mother with pre existing condition of alzheimer, high blood pressure and cholesterol, all conditions under control with medication. For any queries about Corporate HMO (minimum of 5 employees), and Individual & Family Health Program you may contact me anytime in my email below and contact details. I need hospital insurance for my mother (58 yrs old) and grandmother (83 yrs old). Please email me on this sensored55@gmail.com I need it to pay ASAP. I just want to secure them. Thanks! Hi! I need health insurance for me(with pre existing cond) and my 2 kids, 2 and 4 y/o. Please send me details and quotation lheiyz@yahoo.com. Need it asap. Thanks. husbnd 50 yrs old with pre existng cnd. Hi!i am from carmona cavite.inquire lang q sau …how about..health!meidical insurance for my 2 sons..ung affordable at mababa lang ang motnhky sana?can u send me details and quote..here is my email add light.pallones@gmail.com.thanks!God bless! Hi! I’m looking for health insurance. Kindly send me the details and quotation at yangskie88@gmail.com ,Thanks! Hi maricar i need help to choose best hmo f for my father who has hypertension, peptic ulcer, and diabetes. I want insurance that offers good benefit for hospital laboratories and other charges. I need HMO for me and my wife. im 34 y.o. and wife is 29 y.o. Hi Good Day! I need your assistance to choose what is the best HMO for my wife (29 years old) and 2 daughters (5 and 3 years old). appreciate if you could provide the quotation as well kindly email it to marcfajardo1419@ymail.com. pls give the quatation for 17, 41, 42 years old for our healthcare plan thks. Hi Can you e mail me quotations. I need an HMO for me and for my husband, and 3 kids. Can you send me a proposal and its coverage. is the tread still active? Great Article! In today’s lifestyle it is very important to put first your health, so make sure that we need to get the best healthcare insurance and find the best plan for yourself, and to your loved ones. I saw this link (https://mariahealth.ph) were you can place online and can easily compare what the top healthcare brands. In today’s lifestyle it is very important to put first your health, so make sure that we need to get the best healthcare insurance and find the best plan for yourself, and to your loved ones. I saw this link (https://mariahealth.ph) were you can place online and can easily compare what the top healthcare brands. Many employees nowadays are very conscious of the fringe benefits they’re getting. To some people, it even makes up their decision on where to work. But when you are self-employed it would be hard to avail for one. Luckily, there are a ton of healthcare options available in the country nowadays like HMO’s. I saw this link https://mariahealth.ph were you can place online and can easily compare what the top healthcare brands. Very easy to choose and compare from a range prepaid healthcards,pay how its most convenient for you and get delivered. Easy as 123. Just simple no hassle free.